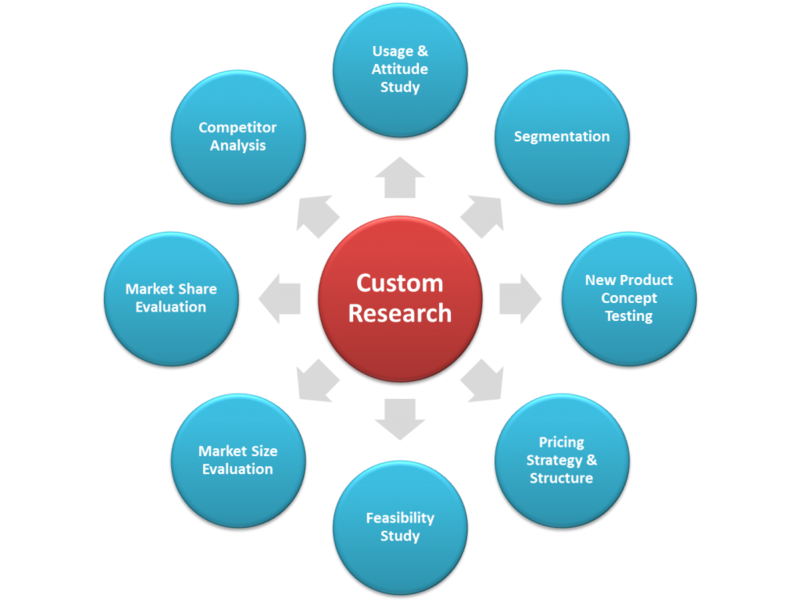 Customized Research is designed to provide market estimation and forecasting as well as insights on the current industry changes. It is essential for organizations to equip with such critical knowledge in order to ensure right decisions are made. CRCG offers expert custom research to meet the exact needs of your organization. Our Customized Research unit offers specific in-depth business-to-business research and consulting service that supports business expansion in highly competitive markets by providing tailored solutions to your unique needs and requirements. We provide detailed and comprehensive analysis of market opportunity, market trend, market size and market share. Our work addresses all of the major research questions, including usage and attitude studies, market segmentation, new product concept testing, feasibility study, pricing, competitor analysis and so on. Our experienced research team works closely with Industry Associations, Government agencies, SMEs, Institutes and Corporations to provide research support to address diverse sectors and business specific queries, thus empowering organizations to identify opportunities and develop effective growth strategies. Our Customized Research also provides solutions to assist your organization to embark on growth strategy, expand into new markets, enhancing market share, developing new products as well as branding and product positioning. We offer custom-designed, individually tailored market research service across a wide range of projects types both in terms of product and service area as well as research issues to be addressed. Our research capabilities stretch from Malaysia to the Asia’s emerging economies.